Josh Cherfoli, Director of Digital Marketing at Georgia Aquarium, directs all digital marketing and interactive efforts for Georgia Aquarium. His responsibilities include the development and execution of all websites, digital properties, mobile apps and digital media environments which are designed to cultivate the highest quality user experience. He leads the relationships with all digital marketing agencies and aquarium leadership teams to ensure continued growth of all digital properties and guest engagement with interactive elements. His team works across all departments to align all digital media, communications, marketing and public relations efforts to ensure a consistent and unified messaging strategy. Cherfoli brings a creative, results-oriented marketing approach in support of Georgia Aquarium. He has a solid record for driving integrated and award-winning marketing campaigns. He is proud of taking home awards from EFFIE, Webby, MAXX, Digital Edge 50 and others over his 20 years of traditional, interactive and database marketing experience. Prior to joining Georgia Aquarium, Cherfoli worked in the marketing departments of The Home Depot, Porsche Cars North America and Porsche Financial Services in Atlanta. While living in Detroit, Michigan, he gained a tremendous amount of experience from some of the largest advertising agency networks in the world. Those advertising and marketing agencies included BBDO, McCann-Erickson and Ross Roy and provided the marketing activities for brands like, Jeep, Dodge, Chrysler, and GMC. 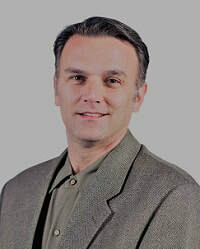 Cherfoli earned his Bachelor’s degree in Marketing from Michigan State University and earned his Master’s degree in Communications from Purdue University. He resides in Roswell, GA with his wife and their four children.